My Ladies, My Lord, May it please you. I am grateful, as we all indeed must be to be able to be here today. I am personally grateful to have the opportunity to address the Court on this occasion. I welcome you Madam Justice Anne Marie Smith. Of course you are no stranger to us, and I welcome you back. I also welcome you Mr Justice Adderley and of course, you Madam Justice Ellis are always with us..
By Act of God, none of us could be in this place at this time last year, and we remember. Yes, we remember and we remember all those who are no longer with us. 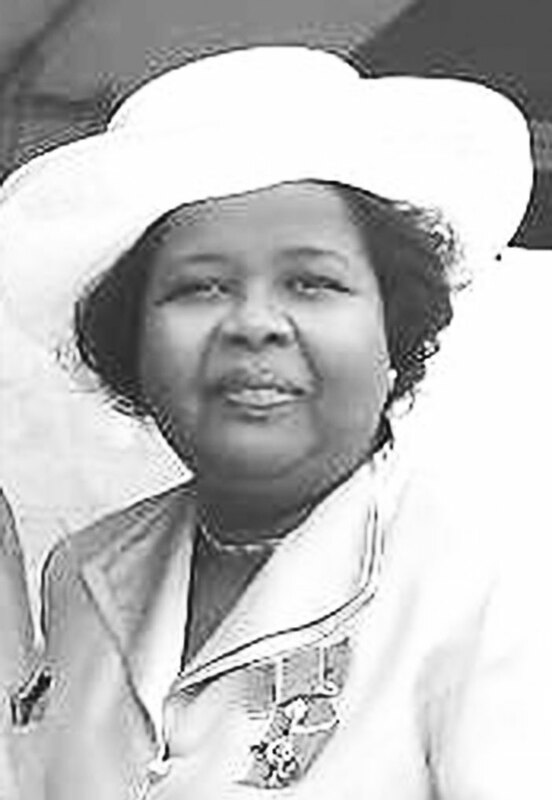 In particular, we remember Her Honour Chairmaine Rosan – Bunbury, a former Magistrate of The Territory who departed this life on 31st December, 2017. On her passing, Charmaine was not accorded the honour of a Special Sitting of The Court, in keeping with the long standing traditions of this Court. I think it would be remiss of me not to mention her today. She was a member of the legal profession, and a member of the Judiciary and she served faithfully. Her contributions and sacrifices should not go unnoticed and unrecorded, and I place them on the record of this Court today. Charmaine leaves a widower, three young sons and other family members and I believe that one of her sisters is present in Court today. It was in February last year that we met here in a Special Sitting to mark the 50th Anniversary of the establishment of the Eastern Caribbean Supreme Court. It was a significant milestone in the life of the Court and in the lives of the people of The Virgin Islands and an Anniversary truly worthy of celebration. I did not say it then, but I say now that for close to forty of the fifty years of the existence of this Court, I have been called to its Bar and privileged to speak from this place. My thoughts as I stand here this morning, convened as we are under the theme “Challenges, Opportunities and Resilience: The ECSC Paving The Way To A Modern And Efficient Judiciary For The Eastern Caribbean”, are that it is time perhaps for us to be less laudatory and more focused on an objective and candid assessment of where the institution of the judiciary is, and where it should be. Yes. There is certainly much to continue to celebrate, and to be proud of, and I pay tribute as tribute is due. As the rule of law is increasingly threatened, as governance and institutions are being weakened, as there is a seemingly continuing blurring of the separation of powers and a co- mingling of the three branches of Government, the judiciary has to be and must remain robust. It must jealously guard its independence and be the bastion of the preservation of the rule of law and ensure that our democracy remains alive and vibrant. Are we best served by an increasing pattern of Acting and Ad Hoc Appointments to the Bench? Are we building capacity and building our institutions? Is the process for appointment to the Bench sufficiently open, transparent and participatory? Is our jurisprudence being developed? What are the costs financial and otherwise: to the system, to the good taxpayers? Is the Court made more subject to interference from the political directorate and special interests in this way? Are we best served by an itinerant Court of Appeal? What of the physical toll on the judges, their private lives, their families, their safety, and their security? Are litigants best served in this day and age by an itinerant Court of Appeal? How do the matters just mentioned impact the independence of the judiciary? What are the overall costs, financial and otherwise? Should judges engage actively with the media, participate in Town Hall meetings and the like? These, I submit are among the factors which must be addressed as we seek to pave the way to that important necessity for democracy: a modern and efficient judiciary. But there is more; much more that must be addressed. The administrative support for the judiciary needs to be enhanced. I speak of the Registry of The Supreme Court. The Registry is at it were “the engine room” of the Courts and that important cog in the functioning of the judges, and the delivery of justice to the public. I recognize and thank publicly Madam Registrar and the team she leads. They work day in and day out in strained circumstances and in less than ideal physical conditions; conditions less than befitting. And I speak of conditions pre Irma, let alone post. As we look to making our judiciary modern and efficient, an objective look has to be taken at our Registries. Greater financial and human resources MUST be provided to our Registry and modern ICT and technologies provided as a matter of urgency. The judiciary needs the support of the legal profession. A Court Users Committee as well as a strong Bench / Bar Committee is critical to the full functioning of the Court. I have heard anecdotally that a Bench / Bar Committee is being revived. I have not been directly informed of this myself, but support the initiative and trust that the Committee will be broad based, inclusive and truly representative of the profession. And, while we are at it, and addressing some of the concerns raised earlier, I submit that it is time for us to review the Commercial Division of the Court. It has served us well since it was established in 2009. It is an important part of our legal system and our financial services sector, and as we go forward, as we recover, as we rebuild, it is prudent in my view to take a fresh look at our Commercial Division, and focus on ways to enhance and improve it. The legal profession has and will continue to have an important role, not only in relation to the judiciary, as indeed to the community at large. The Virgin Islands General Legal Council was established by The Legal Profession Act, 2015, as the regulator of the legal profession. I have the honour and the responsibility to be the Chairman of the Council. Regrettably, the role of the Council has been substantially altered by two amendments to the Act in January 2016. One important consequence of these amendments, especially the second one, is to place the regulation of the legal profession in the Executive branch of the Government (the Cabinet) and not in the hands of the legal profession where it rightly belongs. This can have long term consequences for the rule of law and ought to be changed, and can only be done by legislation. The realities notwithstanding, including the fact that the Council has never received any funding, we continue to try and I am pleased to announce today that in the course of this Law Term on 2nd November, 2018 The Virgin Island General Legal Council in partnership with the BVI Bar Association, the American College of Trial Lawyers and others will be hosting a one-day programme on Effective Advocacy at the BVI Arbitration Center. I urge all members of the profession to fully support this initiative and to attend and participate. I believe that our Chief Justice as well as your goodselves, my Ladies and my Lord will be part of this event and Sir Dennis Byron, recently retired President of The Caribbean Court of Justice and a former Chief Justice of this Court, will be a Keynote Speaker. The VIGLC is also working on a Code of Practice to address Anti-Money Laundering as there is clearly an important part of the accountability which the legal profession must have and which is important for our country as a key part of helping to maintain our international obligations. At the Special Sitting for the 50th Anniversary of the Eastern Caribbean Supreme Court in February last year, I spoke of the abysmal physical condition of our Magistrate’s Courts. Little did I know then, that there was worst to come, and that on 6th September the Magistrate’s Court buildings would be destroyed, and throw the situation in relation to our Magistrate’s Courts in even more stark relief. While one fully understands the commercial reality which led to the immediate relocation and re-establishment of the Commercial Court after Hurricane Irma, it remains deep case for concern to me and many in our community that for some time after the Hurricanes no arrangements were put in place for the sitting of the Magistrate’s Court or the High Court in its civil and criminal jurisdiction. That should not have happened and should never happen again. The Magistrate’s Court is for most citizens the face of justice- it is the point of first contact (sometimes their only contact) with the judicial system. Sometimes it is on a routine traffic charge, a domestic dispute or a serious criminal charge, a civil claim of up to $10,000; a landlord and tenant dispute. There is in my view an important obligation to give more dedicated focus and attention to the Magistracy. It should be provided with greater resources, and the discussions which has gone on for many years of integration, the Magistracy into the higher judiciary should become a reality. Delay in the Court System remains a vexing issue, and one which has to be addressed drastically. Does a citizen who filed an application in a civil matter in December (supported by a detailed Certificate of Urgency), gets a first hearing in March, a substantive hearing in June and the signed Order in August receive justice? I urge greater use of the Alternative Dispute Resolution Processes to help to reduce the volume of cases in the Court. There should be greater use of Mediation. I also recommend where appropriate more use of Arbitration as well. Our collective efforts are needed to improve and enhance social justice and a modern and efficient judiciary. I pledge my support and that of my law Partner, Astra Penn to this end, and I urge all members of the Legal Profession to do so. My wishes for a successful and productive Law Year. May it please you, my Lords.